This is Coffee meticulously cared for start to finish. Nestled some 4,000ft. above sea level, the farm, which was gradually expanded from a hobby of five acres 30 years ago to an estate of 109 acres, now boasts a yield per acre second to none. Greenwich Mountain Estate has become one of the finest locations in Jamaica’s Blue Mountains for growing coffee. The estate is the first fully integrated single coffee estate in modern-day Jamaica. We grow our own seedlings, produce all the cherry coffee we process, and sell it roasted in a retail pack. We are also the first fully environmentally friendly processing facility. The effluent from the wet process is treated in digesters and then put in a constructed wetland with wild cane for evaporation and transpiration. The process has zero runoff. Our workers live in neighboring villages, and are transported to and from work daily. Greenwich Mountain Estate is blessed with a unique and mysterious milieu that has rendered its coffee beans unmatched. Theories about Greenwich flow like the trade winds that move through the mountains. Its particular altitude. Volcanic soil in which the plants grow. Hours of perfectly -muted sunshine. The phenomenon called Blue Mountain mist, that magical gift of nature that steals in unannounced, staying just long enough to cool the coffee plant leaves before disappearing. Whatever the combination, the result is a timeless arabica typica coffee-cherry that, like its former Ethiopian parent, remains the benchmark variety against which all similar and hybrid varieties are judged. Greenwich Mountain Estate Limited has, until now, remained an exclusive family treasure. This is the estate that pays true homage to the time-honoured methods once used by the Blue Mountains’ original coffee growers. From hand-sown seedling to carefully-potted plant to individually-sealed package, Greenwich Mountain Estate coffee is meticulously cared for from start to finish. 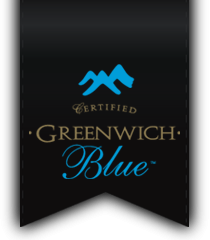 The Greenwich Mountain Estate bean, unlike any other Blue Mountain counterpart, is grown on an estate that is 100% self-sufficient. This affords us the seedling-to-cup quality control needed to ensure a bean that is nurtured like no other. Douglas Graham – is a third-generation farmer with a long family history of rearing dairy cattle. He is dedicated to growing the best cherry coffee possible under the Greenwich Mountain name. Melanie Graham – is a marketing professional whose apprenticeship has covered various sectors, including real estate, entertainment and consumer products. Responsible for the marketing and presentation of all Greenwich Mountain Estate products, Melanie coordinates the production of the product’s packaging. She also presides over the sales management. Steven Cooke – has a first degree in Management and an MBA in International Business. He has solid work experience in the entertainment business, and has submitted himself to intensive training in coffee processing – from drying to roasting to packaging – for which he is responsible.